When we visited my parents a couple weekends ago in South Dakota, our Sunday dinner was one big summer feast. There was a huge bowl of fresh pico, made with just-picked tomatoes from my sister Jessica’s garden and herbs from Mom’s. Burgers hot from the grill. And big pans of steaming tender sweet corn, bought from a local farmer’s stand. With a slathering of creamy butter, those cobs of corn were some kind of heavenly insanity. 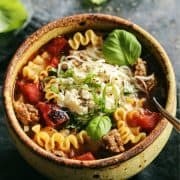 I am completely loving all our meals of fresh August produce, and knew just what I wanted to showcase when PHILADELPHIA asked me to share a new recipe featuring seasonal produce. 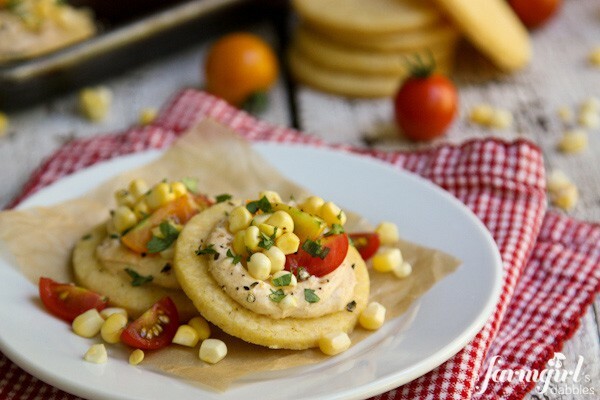 You got it…sweet corn and tomatoes! 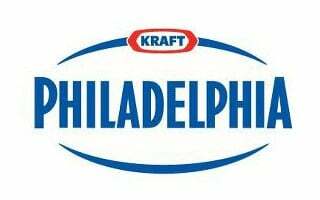 Disclosure: I have been selected by Kraft Foods to be an ambassador for PHILADELPHIA, and compensated for my time to create this fresh delicious summer recipe. All opinions are my own. 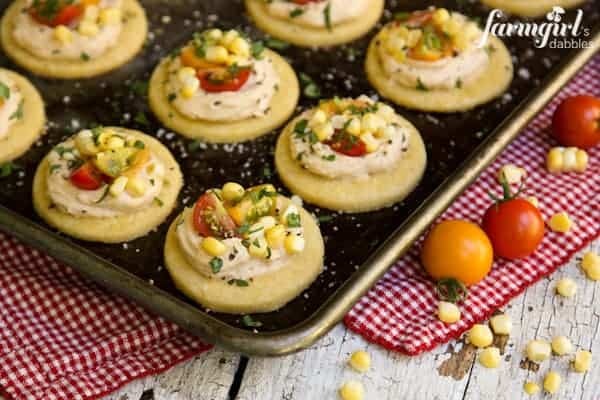 This appetizer of Honey Shortbread Bites with Smoky Cream Cheese, Sweet Corn & Tomatoes is one gorgeous and tasty way to start your next get together. 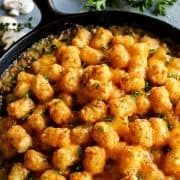 I fell so hard for these as I was experimenting in the kitchen, they became much more than an appetizer for me. They were my meal. So good!! 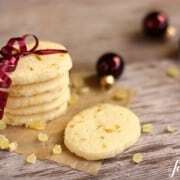 At the base is a simple buttery shortbread cookie, embellished with cornmeal and a bit of sweet honey. And you could stop right there if you wanted to, as these little cookies are incredible all on their own. But then you’d miss the cream cheese and fresh summer yummies. And you really don’t want to do that! I love to cook and bake and even grill with PHILADELPHIA cream cheese, it’s really no secret. This blog is full of its deliciousness. Made with fresh milk, real cream, and high standards for quality, PHILADELPHIA has been America’s favorite cream cheese since 1872. The cream cheese is smoky and flavorful from smoked paprika, chipotle powder, and garlic. It’s a creamy savory contrast to the slightly sweetened honey shortbread beneath it, and completely lick-the-bowl worthy. When topped with golden nuggets of raw sweet corn (thank you, Recipe Girl, for introducing me to the awesomeness of raw sweet corn!) and tomatoes, fresh from the garden…you’ve got yourself one pretty little appetizer that’s huge on summer flavor. In a large bowl, combine flour, cornmeal, sugar, and salt. Using a rigid pastry blender, cut in butter until mixture resembles coarse crumbs. Stir in honey with a fork. Then knead mixture in bowl until dough begins to cling together. Knead in the bowl by gently folding 4 to 5 times, until dough holds together. Form dough into a slightly flattened disk and wrap tightly with plastic wrap. Refrigerate for 1 hour. Preheat oven to 325°. Divide chilled dough in half and form each into a slightly flattened disk. On a lightly floured surface, roll one dough half to slightly less than 1/4” thick. Cut into circles with a 2-1/4” round cutter. Place 1” apart on an ungreased cookie sheet. Reroll as needed. Then roll out the second half of the dough and repeat. Bake for 12 minutes, or until edges are firm and tops are lightly golden brown. Let cool on pan for 5 minutes before removing to wire rack to cool completely. In a medium bowl, stir together cream cheese and sour cream until smooth. Add paprika, garlic powder, chipotle powder, mustard, and salt, stirring to completely combine. 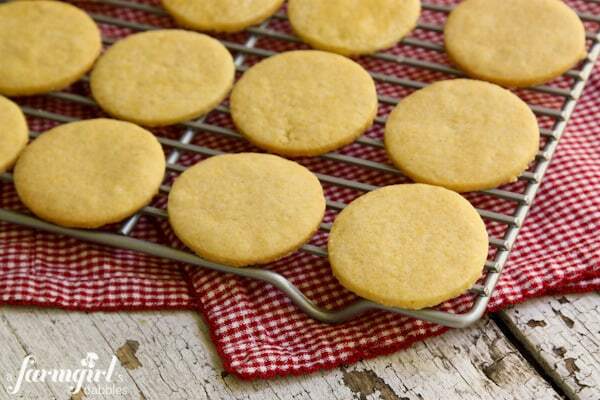 With a small spreader, top each shortbread round with 1 to 2 teaspoons of smoky cream cheese. 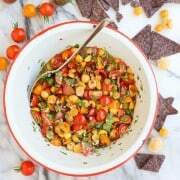 Top with 2 pieces of quartered tomato, some fresh corn kernels, and a bit of cilantro. Add a sprinkling of flaky sea salt and freshly ground black pepper. Serve immediately or chill, covered, for a couple hours before serving. Hi! Is it normal for the dough to be crumbly when trying to knead into a ball? If not is there anything I can do differently to prevent this?! Hi Holly – there might be a bit of crumble, but it should all come together nicely. 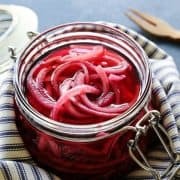 I’ve made these a few times, and have a cousin who I know likes to make this recipe, and never have any problems – so I’m not sure why you are having problems, so sorry to hear this. All I can think is making sure your ingredients are the same and that they are measured accurately. Smoky and sweet are a great combination–I can’t wait to try this for a party! You just totally destroyed my ability to stay out of the kitchen past midnight. And dang it I don’t have anything that looks like those! Seriously, YUM. Pinned already! Hey I also wanted to say hi since we will both be at Livewell 2013 in Chicago! So exciting–I love meeting other bloggers IRL (probably because I live in the middle of nowhere). I am pinning this to make for my next Book Club gathering! Looks SO good!!! What amazing little bites! The perfect party food! These look so cute and summery! Love the sweet and smoky flavor combo! I’ve got them on my menu for our next BBQ! And my mind is just racing with all the yummy things I could do with those honey shortbread cookies! Can’t wait to try them! These are such a fun little appetizer! Love the fresh corn in them. Oh my what a fun appetizer. I am sure it is delicious and pairs perfectly well with the cream cheese, corn, and tomatoes. I must make this very soon. Thanks for sharing. Fabulous appetizer idea, I love these flavors! I love everything about these! So many wonderful flavors in a perfect little bite! 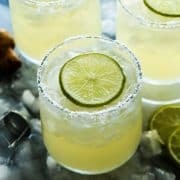 These bites look so beautiful and delicious, Brenda! What a great combination of flavors! These are PERFECT little bites for any day! Mmmm…yummy appetizers! 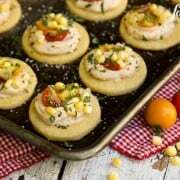 I love the idea of savory shortbread! I never would have thought to use shortbread, that’s brilliant! These look sooo good! These are gorgeous and so delicious I bet!! The flavors sound so amazing and all that fresh produce? YUM!! Plus the smoky cream cheese. Wow!! This is such a treat!!! How creative and delicious!!! 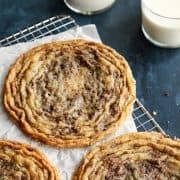 Savory shortbread? So innovative! I love it. I’ve only made and eaten shortbread as a dessert cookie. 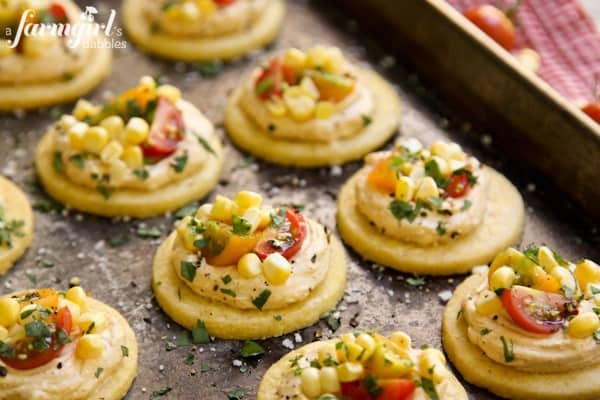 You have shown very wonderfully how easy it is to turn shortbread into a delicious savory appetizer! I’m pretty sure I could eat a platter of these! Loverly. 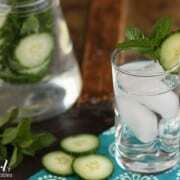 This is such an inventive and creative recipe Brenda! I want all parts of it individually and together! 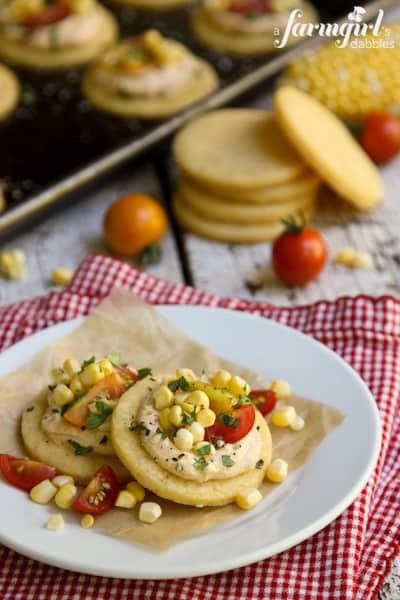 That honey cornmeal shortbread looks incredible! 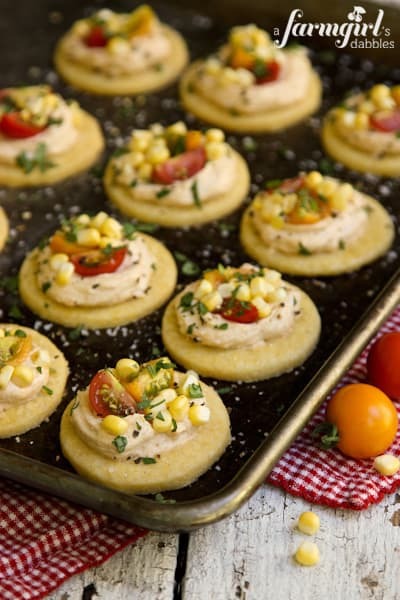 These little appetizers may be making an appearance at my next get together! Smoky and sweet, what a delicious appetizer you have recreated using the August produce we have come to love and look forward too! Ingenius is all I can think when I drool on myself. Thanks so much for posting this beauty!